Many pet sitters and dog walkers have a file cabinet full of documents for their customers. Signed service agreements, pet information profiles, vet release forms and more. Time To Pet provides a convenient and easy place to store this data. Just scan it in and upload it as a Client Doc! Docs can be added directly to a client’s account. 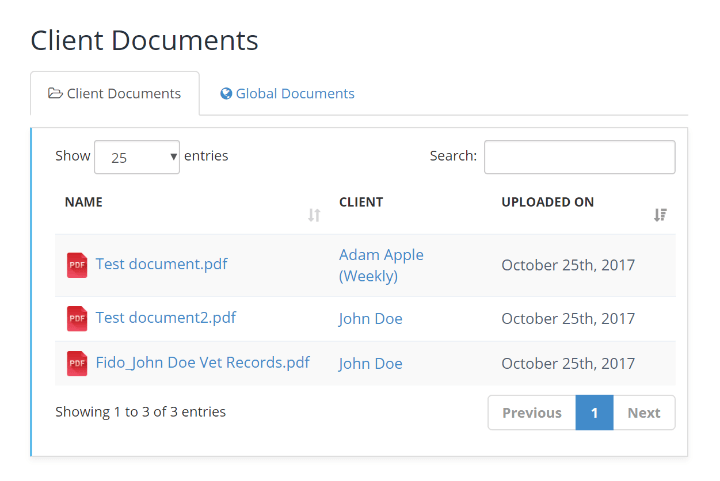 This is a great place for those documents that are associated with just one client like their signed service agreement or a history of shot records from their veterinarian. 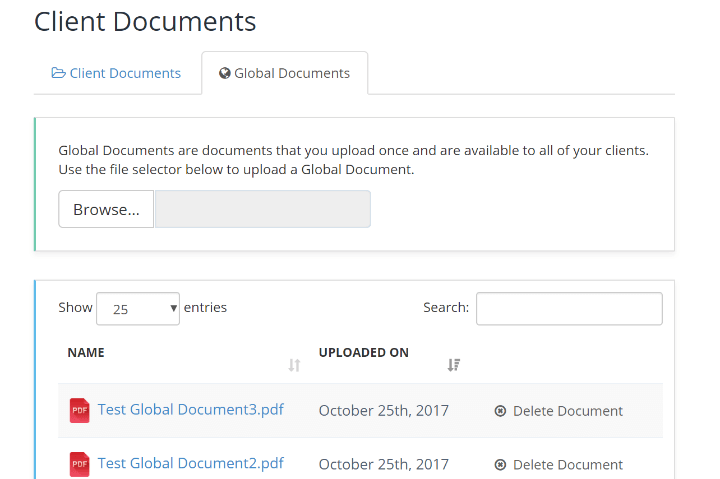 You can upload one document to all of your client accounts by using the global docs tool. This is great for documents that are applicable to all of your customers like a pricing sheet or your pet sitting insurance certificate.